German Wikisimpsons (German: Deutsch Wikisimpsons) was the German-language Wikisimpsons. 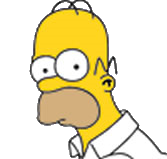 The project was launched on August 22, 2011 as part of the Simpsons Wiki Network. It was founded by Doh5678. Modified on March 16, 2014, at 06:37.